PARK CITY, Utah (AP) — "Bend It Like Beckham" director Gurinder Chadha knows a little bit about being a Bruce Springsteen fan, having seen The Boss at Wembley Stadium in 1984 where she proudly stood atop her chair and sang her heart out to his songs. So when she came across Guardian journalist Sarfraz Manzoor's memoir about being a British Muslim boy who finds inspiration, comfort and understanding of his own circumstances in Springsteen's lyrics, she knew it would be perfect for a film. BOSTON (AP) — Bruce Springsteen made an unexpected visit to a Boston pub last week. ASHEVILLE, N.C. (AP) — Facebook has apologized for temporarily banning North Carolina evangelist Franklin Graham from its platform over a 2016 post about the state's "bathroom bill." NEW YORK (AP) — To director Thom Zimny, the key element in his filmed version of Bruce Springsteen's Broadway show was in the star's eyes. 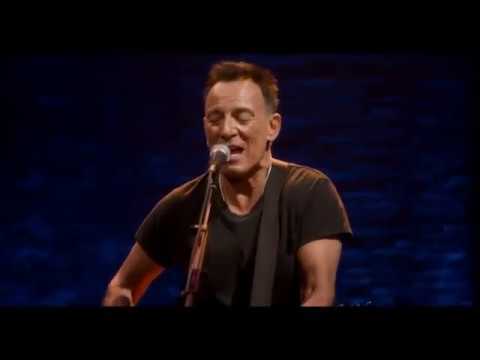 The Netflix documentary makes its first appearance on the service early in the morning of Dec. 16, hours after the singer's 236th and last performance of "Springsteen on Broadway" at the Walter Kerr Theater. A soundtrack is being released Friday. In his youth John Mellencamp was known to be cocky. That brashness carried him to the big stage, where he became a stadium-scale rocker with an adventurous spirit. He mostly fell short of the stature attained by contemporaries named Bruce Springsteen and Tom Petty, but he sometimes took bigger risks. NEW YORK (AP) — Bruce Springsteen will not be touring with the E Street Band in 2019. Springsteen on Tuesday posted on Twitter that they hope to be back soon. But The Boss says he wants a break after his "Springsteen on Broadway" show wraps up on Dec. 15 and he's working on various recording projects. NEW ORLEANS (AP) — Music lovers will get an extra day this year at the New Orleans Jazz & Heritage Festival. The festival's management announced Friday that they will add another day as a way to honor the festival's 50th anniversary. NEW YORK (AP) — Bruce Springsteen teamed up with country star Eric Church on a version of "Working on the Highway" and Jon Stewart laced into Donald Trump at a bawdy event Monday in New York that gathered comedians and musicians to help raise money for military veterans. NEW YORK (AP) — Now you don't even have to go to Broadway to hear Bruce Springsteen's sold-out show. Columbia Records said Friday the official two-disc soundtrack of "Springsteen on Broadway" will be released Dec. 14. A few days later, on Dec. 16, a filmed version of the show debuts on Netflix. SOUTH BEND, Ind. (AP) — Brian Kelly has learned to adapt over the years, even when it comes to the postgame music played in the Notre Dame locker room. "As long as they do their job, I have no problem with having to listen to music that I'm not familiar with and routines that are a little bit different," said Kelly, whose musical tastes stop and end with Bruce Springsteen more than Jay-Z, Beyonce, Drake and Travis Scott. 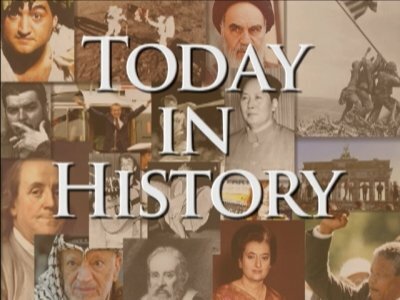 ASBURY PARK, N.J. (AP) — Bruce Springsteen has appeared for a surprise performance at a New Jersey festival. He played three songs, "Bad Luck," ''Misery Loves Company" and "Ring of Fire," in front of several thousand festival attendees. EAST RUTHERFORD, N.J. (AP) — New Jersey's Hall of Fame is on its way toward getting a new home. Officials broke ground on Wednesday at a site in the American Dream megamall and entertainment complex at the Meadowlands. The museum has been mobile for its 10-year existence. Among its more than 140 inductees are Frank Sinatra, Paul Robeson, Meryl Streep, Toni Morrison and Bruce Springsteen. NEW YORK (AP) — Bruce Springsteen, Jon Stewart, Jim Gaffigan and Seth Meyers are headlining this year's Stand Up for Heroes fundraiser, which benefits injured veterans and their families. Lucero has put out great records before, but for whatever reason — geography, confusion over genre, a lack of recognition from the folks who decide what gets heard — the Memphis-based quintet has never attained the level of stardom it probably deserves. NEW YORK (AP) — Taylor Swift's sophomore album, which won album of the year at the 2010 Grammys, has been certified diamond. Big Machine Label Group President and CEO Scott Borchetta surprised the singer after her show Sunday with a plaque for "Fearless" indicating sales and streaming equivalent sales of 10 million units. Swift actually earned six new plaques from the Recording Industry Association of America, including a triple-platinum certification for her latest album, "reputation." OKEMAH, Okla. (AP) — Woody Guthrie's Oklahoma hometown has doubled in population as thousands gather for a music festival in honor of the "This Land Is Your Land" singer. The Journal Record reports that the town of Okemah jumps from about 3,000 to 6,000 people during the annual Woody Guthrie Folk Festival. FREEHOLD, N.J. (AP) — A childhood home in New Jersey where Bruce Springsteen lived for seven years has been sold for $255,000. The Asbury Park Press reports the two-family home at 39 Institute Street in Freehold was listed for $269,900 in November. The Springsteens lived on the left side of the house from 1955 to 1962. ATLANTIC CITY, N.J. (AP) — Elvis Presley's Rolls Royce, the suits the Beatles wore on their first tour of America, Bruce Springsteen's sleeveless faded denim jacket and colorful headband, and Michael Jackson's famous glove are among the items of music memorabilia on display at Atlantic City's new Hard Rock casino. 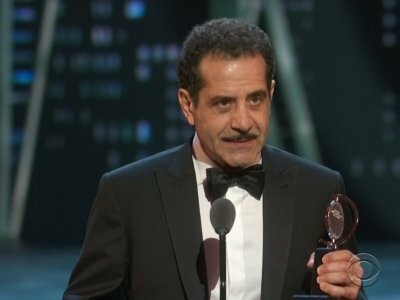 NEW YORK (AP) — Ratings were slightly higher for this year's Tony Awards over last year, likely thanks to a bump supplied by Bruce Springsteen. The CBS show co-hosted by Josh Groban and Sara Bareilles was seen by 6.32 million people, according to preliminary ratings from the Nielsen Co.
That compares with 6.06 million last year when "Dear Evan Hansen" won the best musical trophy, and 8.74 million in 2016 when the show was buoyed by the megahit "Hamilton." ASBURY PARK, N.J. (AP) — Bruce Springsteen will perform at a refurbished 1960s bowling alley-turned music venue in the New Jersey shore town he has immortalized in songs. Springsteen will be the special guest in Asbury Park on June 18 at the Asbury Lanes concert to benefit the Boys & Girls Club of Monmouth County. The venue reopened last month after major renovations. Grammy-winning Portugal The Man will headline the show with Tangiers Blues Band. NEW YORK (AP) — Broadway grosses hit another record high last season by pulling in $1.7 billion, fueled by fervent demand to see such draws as Bruce Springsteen, Bette Midler and a grown-up Harry Potter. Data from the Broadway League, the national trade association for the industry, released Tuesday shows box office receipts were up 17.1 percent over last season's $1.45 billion. NEW YORK (AP) — In the self-imposed retirement of his final years, Philip Roth remained curious and removed from the world he had shocked and had shocked him in return. ASBURY PARK, N.J. (AP) — Oh what a night: Frankie Valli and the Four Seasons were inducted Sunday into the New Jersey Hall of Fame, but it was Bruce Springsteen who stole what could have been Meryl Streep's show. The Boss made a surprise appearance at Asbury Park's Convention Hall to introduce his longtime friend and guitarist Steven Van Zandt into the hall. Springsteen himself was admitted a decade earlier. Steven Van Zandt's Boss has inducted him into the New Jersey Hall of Fame. 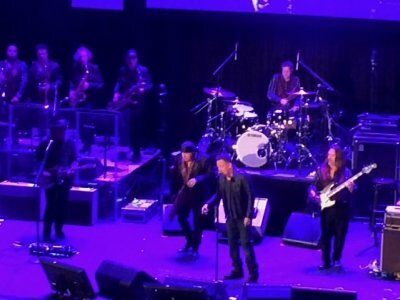 Bruce Springsteen, a member of the hall's inaugural class 10 years ago, made a surprise appearance Sunday night to introduce his longtime guitarist and the "Sopranos" TV star. WASHINGTON — He’s been photographed kite-surfing with Richard Branson off Necker Island, relaxing on David Geffen’s yacht in French Polynesia with Bruce Springsteen and Oprah Winfrey, river-rafting with his family in Bali and posing with a celebrity chef in Tuscany. Bruce Springsteen's songwriting scrawl is born to make bucks. Sotheby's said Friday that it will auction a handwritten working manuscript of "Born to Run" in June. The presale estimate for the single sheet of notebook paper with 30 lines of writing is $200,000 to $300,000. NEW YORK (AP) — The night belonged to Patti Smith at the Tribeca Film Festival — and to her friend Bruce Springsteen, who thrilled the crowd with a surprise visit to perform the hit they co-wrote, "Because the Night." Two singers with North Carolina ties will be fighting for viewer votes in the top 12 on “The Voice” this week. Sanford native Britton Buchanan and Chapel Hill native Rayshun Lamarr were two of 24 contestants voted through to the next round during real-time voting last week, and now both will compete to be the winner of this season’s singing competition. WASHINGTON (AP) — All of about 2½ minutes into the game, Washington forward Markieff Morris and Toronto's OG Anunoby needed to be separated after a near-fight that drew in other players.